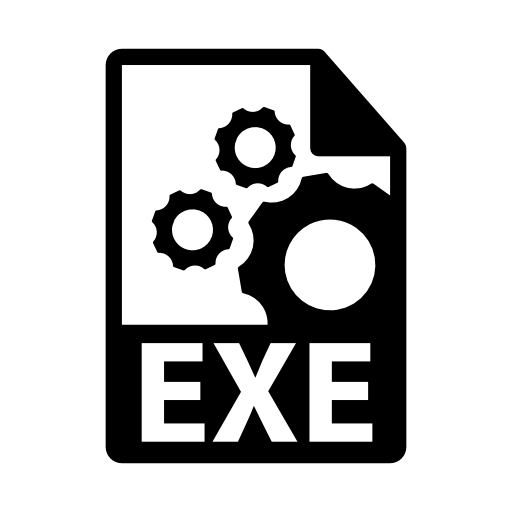 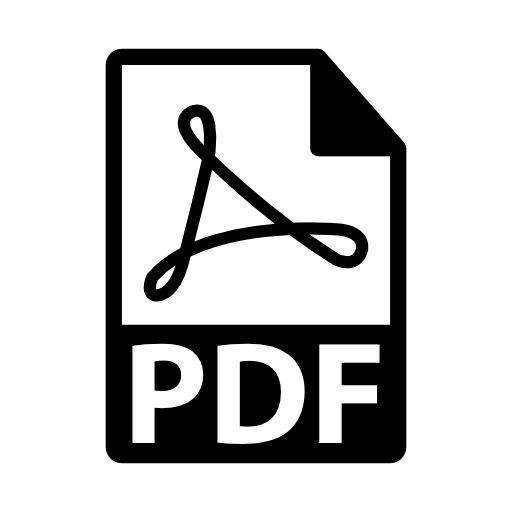 USE ON PC – IMPORTANT INFORMATION! 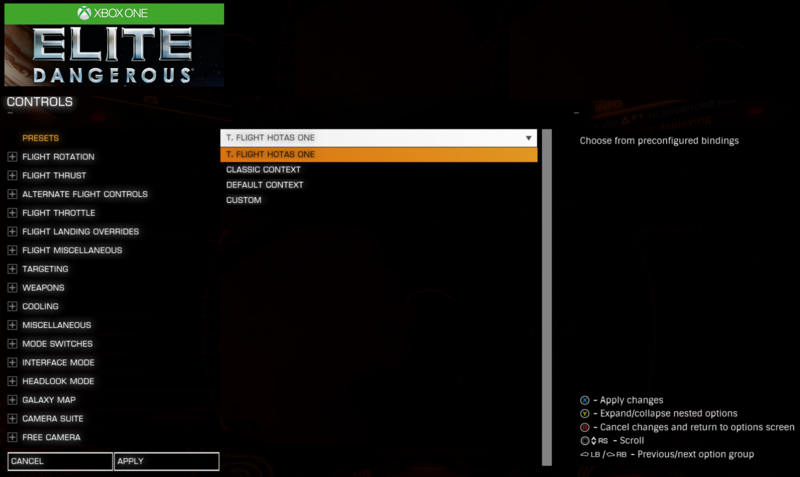 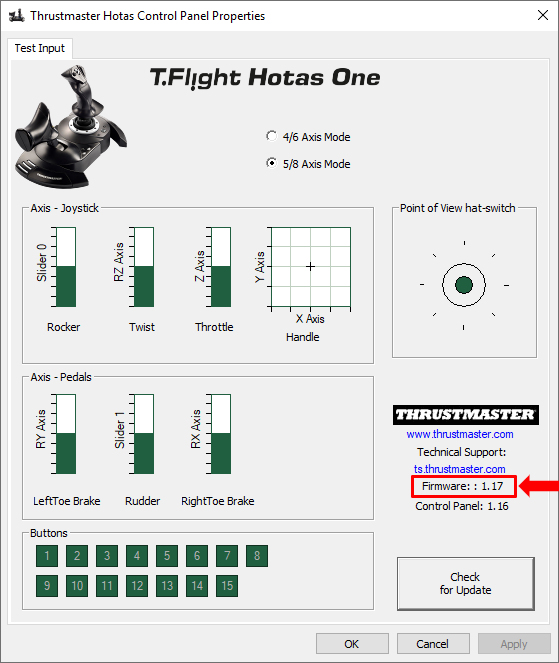 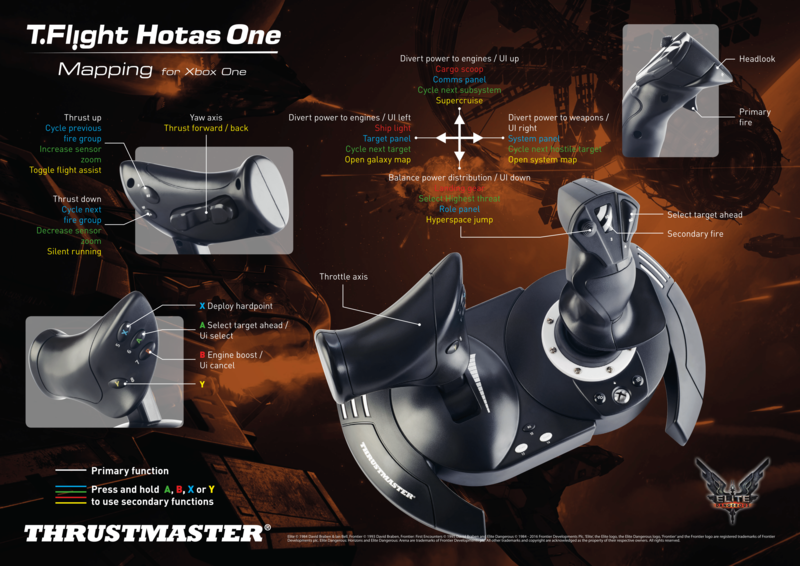 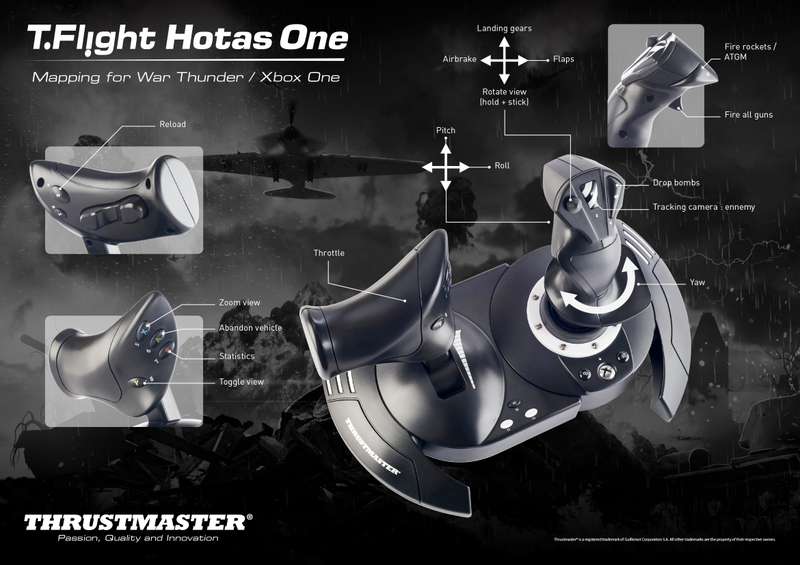 If you are using the T.Flight Hotas One on PC (Windows® 7, 8, 10), it is imperative that you first install the corresponding PC driver (should you fail to do so, some axes and/or buttons will not work properly). 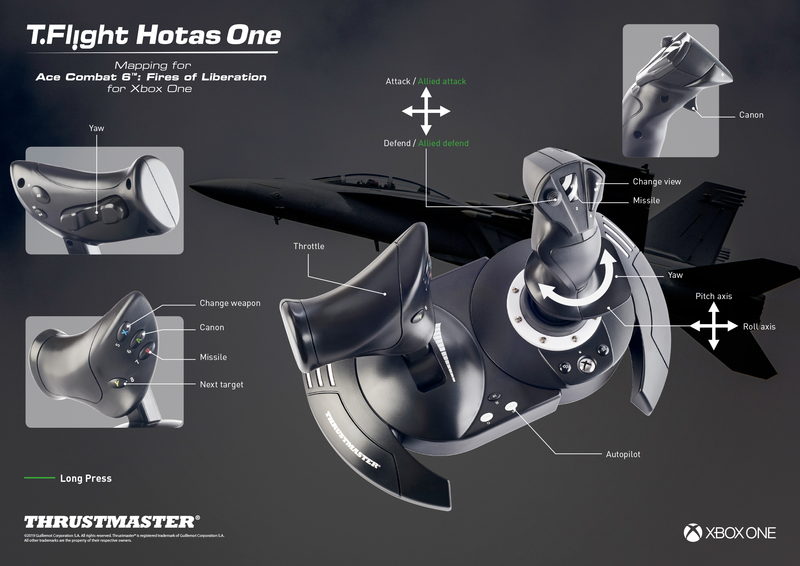 EN (*) In this game, the TFRP (T.Flight Rudder Pedals) rudder system, which is sold separately, is also compatible when connected to the joystick’s connector. 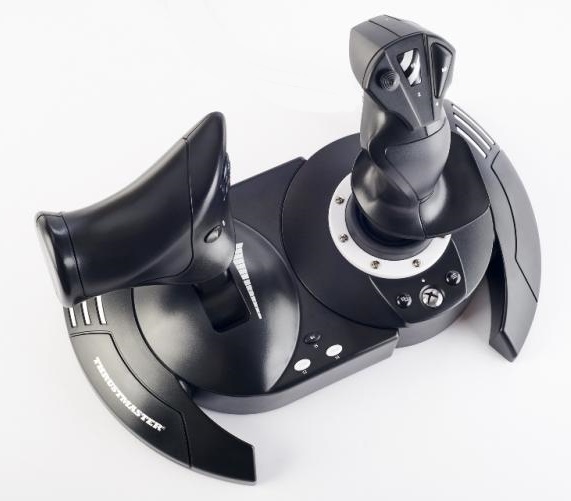 FR (*) Dans ce jeu le palonnier TFRP (T.Flight Rudder Pedals), qui est vendu séparément, est également compatible lorsqu’il est relié au connecteur du joystick. 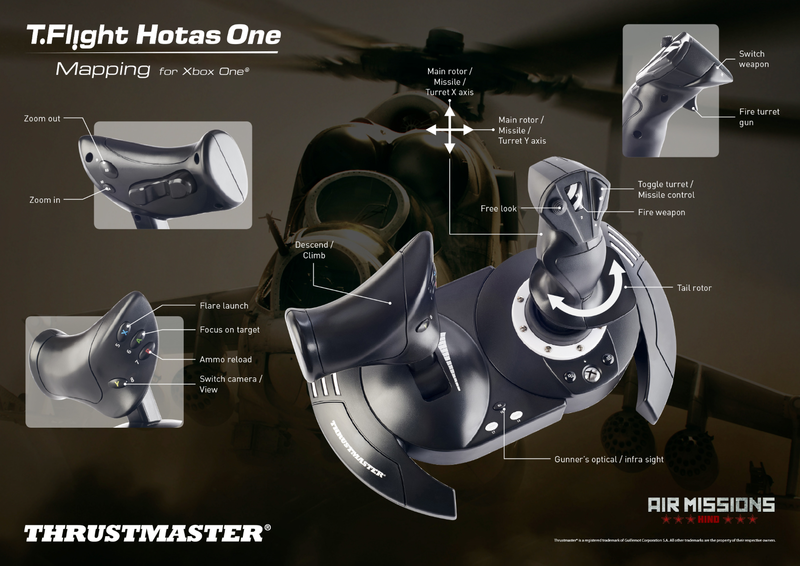 DE (*) In diesem Spiel ist das TFRP (T.Flight Rudder Pedals)-System, welches separat erworben werden kann, ebenfalls kompatibel, wenn es am Anschluss des Joysticks angeschlossen ist. 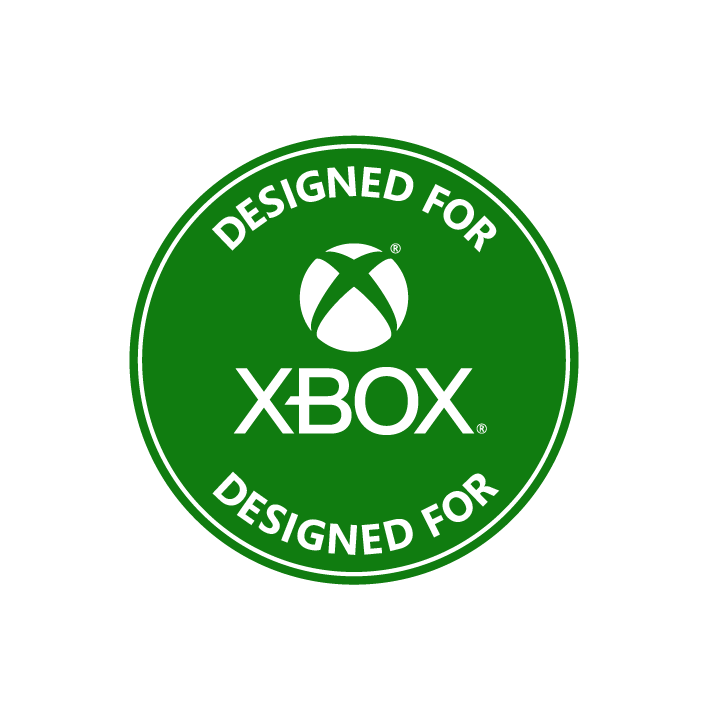 “Xbox” and “Xbox One ” are a registered trademarks of Microsoft Corporation.